Logos are going to be all over this Spring. Designers have been incorporating logos in their recent collections that range from WOW pieces in their RTW collection (example: Fendi Mink Bomber, see below) to repetitive logos on bags and tights to t-shirts with an emblazoned logo that is front and center. Logos have a tendency to appear tacky. Approach the trend with an attitude of fun and confidence and you will be able to pull it off nicely. For less of a commitment, touch on the trend with an accessory. There are some great pieces available from many collections that truly master the idea behind the logo craze. Here are a few examples. 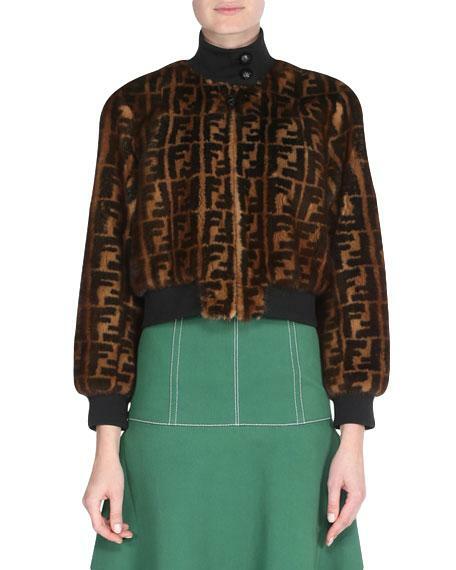 Fendi Logo Mink Fur Bomber – Fendi stands out as the designer who does this trend best. The iconic Fendi print is a fashion staple that is current and timeless. Fendi Double-F Logo Tights – At a glance, the double Fs make these tights look like a fun geometric pattern. Vetements Logo Perforated Sneaker – Sneakers are everything this Spring. This one from Vetements is sporty chic. The clean white is easy to pair with cropped denim and dresses. 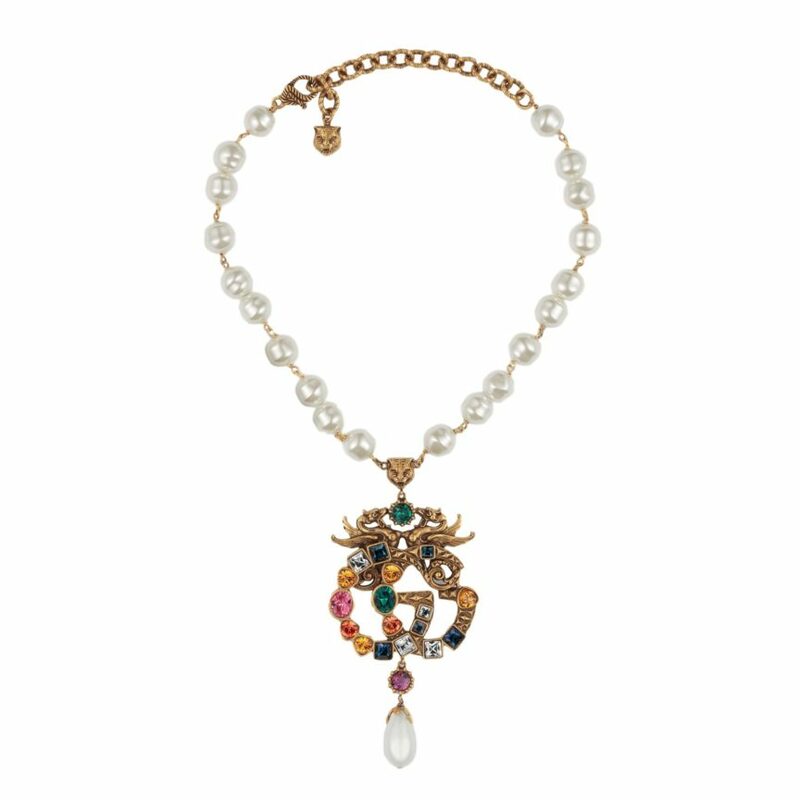 Gucci Crystal Double G Necklace – The mix of pearl and bold jewels is just right to layer or add a pop on its own. 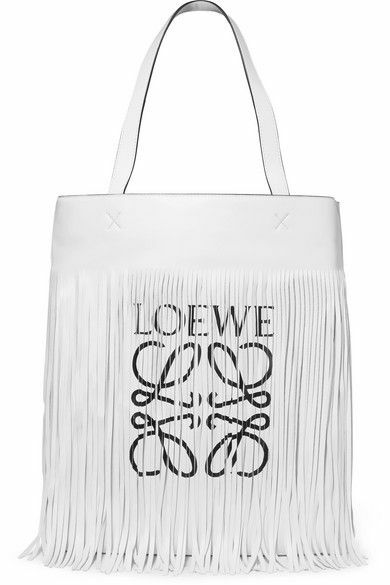 Loewe Fringe Printed Leather Tote – There is nothing like a great white bag for Spring! The simple black and white logo display and fringe detail are the perfect mix. 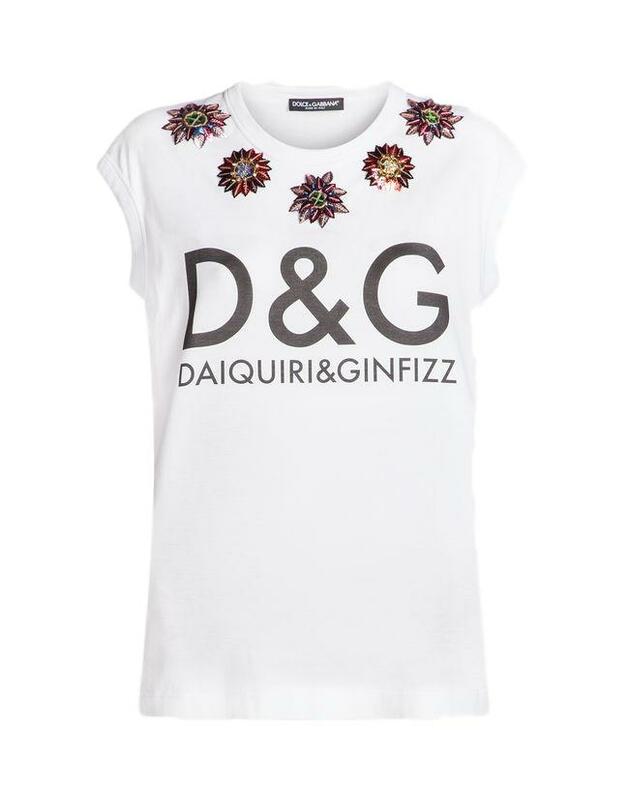 Dolce&Gabbana T-Shirt – The embellishment adds a touch of feminine flair to this classic logo tee. Pair with easy denim or a printed pencil skirt for a fresh summer look.